The White House Photo Office has declined CBS News requests to release images taken of US officials during the Sept. 11 Benghazi attacks. CBS News first requested the images on Oct. 31. In the past, the White House has released photos showing US officials during national security incidents. A half dozen images related to the mission that captured and killed Osama bin Laden were given to the public last year. One depicts President Obama, Vice President Joe Biden, Secretary of State Hillary Clinton and members of the national security team gathered in the Situation Room on May 1, 2011. 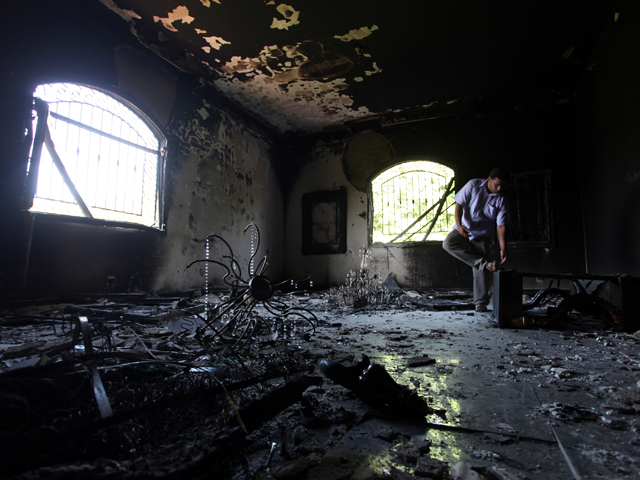 A White House official referred our request regarding the Benghazi attacks to the White House Photo Office. On Nov. 1, an official there indicated she would process our request quickly, but then did not respond further. Finally, this week, the White House Photo Office told CBS News it would not release any images without approval of Josh Earnest in the White House Press Office. Earnest did not respond to our telephone calls and emails. At a press conference on Nov. 14, 2012 President Obama stated that his Administration has provided all information regarding "what happened in Benghazi." "We have provided every bit of information that we have, and we will continue to provide information...," the President told reporters, adding, "we will provide all the information that is available about what happened on that day..." and "I will put forward every bit of information that we have." In addition to the Benghazi images, CBS News has also requested, but not received, details concerning the president's and his staff's decisions during the attacks. Last year reporters were given details of the decision making, timeline and players regarding the Osama bin Laden raid as well as access to certain emails. CBS News is also seeking drone and ground-level surveillance images and email communications and documents from the night of the Benghazi attacks. So far, none has been provided.